Enjoy awesome sunsets with premium cocktails under the sounds of magical music! Every day @ Semeli Bar! 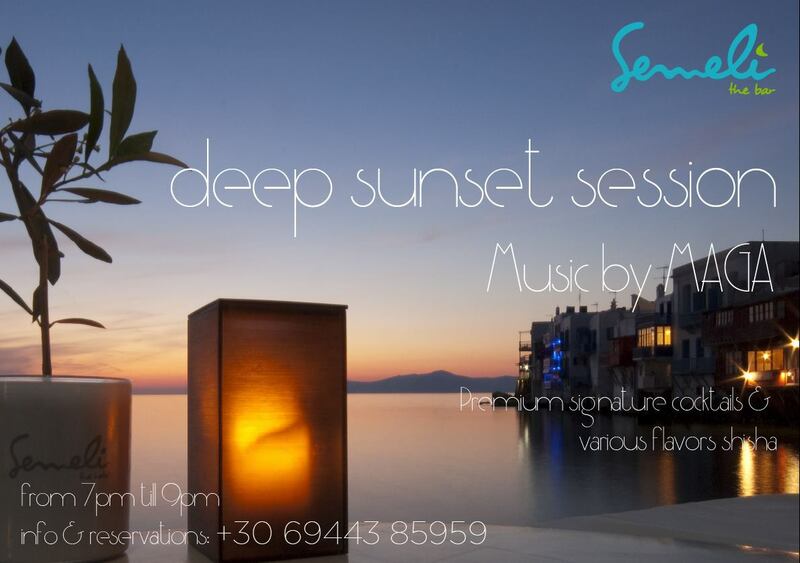 during its Deep Sunset Sessions every evening from 7 to 9 pm!! !